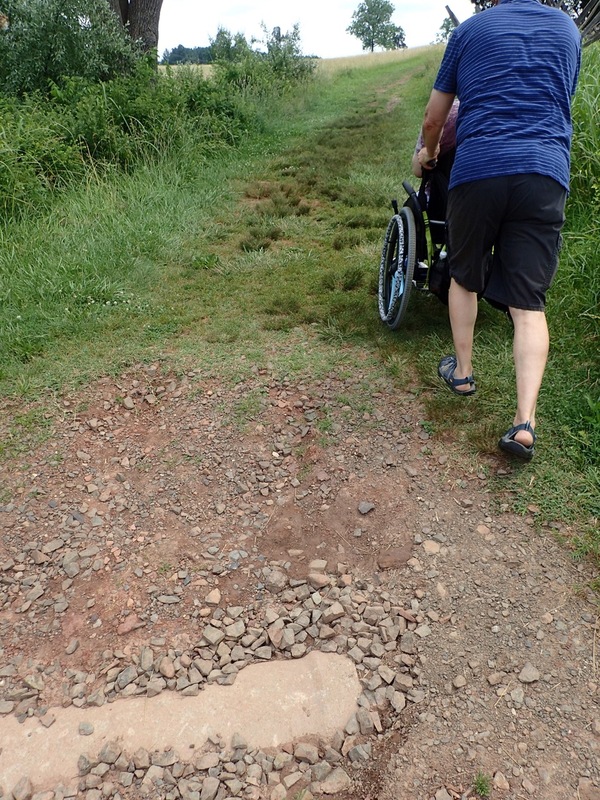 The park actually does have some wheelchair accessible trails, but we ended up not getting around to checking them out except Stone Bridge Trail because we wore Mik out doing the Henry Hill Loop Trail. 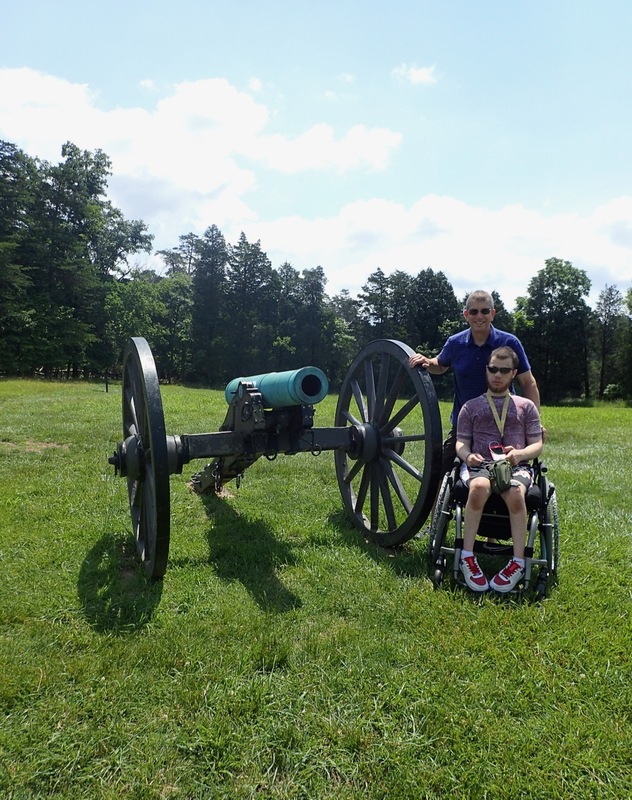 I am glad we ventured out on this trail first, though, as it was an interesting overview of the battle and while not technically accessible it was quite doable (amazing what a difference the new wheelchair makes as it would've been hard to impossible with his last chair except maybe with the freewheel). 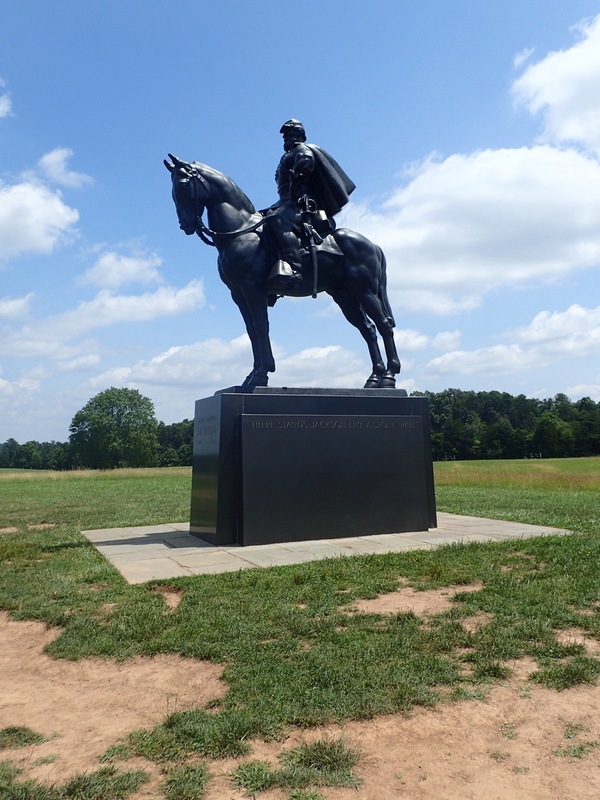 The Henry Hill Loop Trail focuses on the history of the Battle of First Manassas (Bull Run), which mostly took place around the hill. The trail is mostly through low grass, although some parts are more dirt and gravel and there are definitely uneven pothole parts. 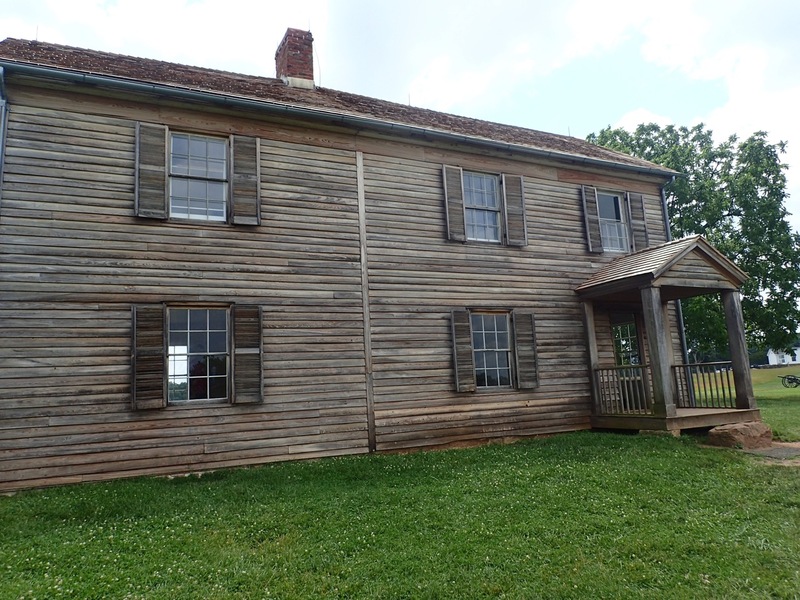 The first main stop on the trail is the Henry House, which was destroyed during the battle and rebuilt after the war. There is an exhibit with a movie and history on the house inside, but it is a huge step to get inside that has a big rock as a step making it not really doable to get inside with Mik. If it has just been regular two or three steps, we might've taken Mik inside because once inside it seems you can easily roll through and he would've found it interesting. 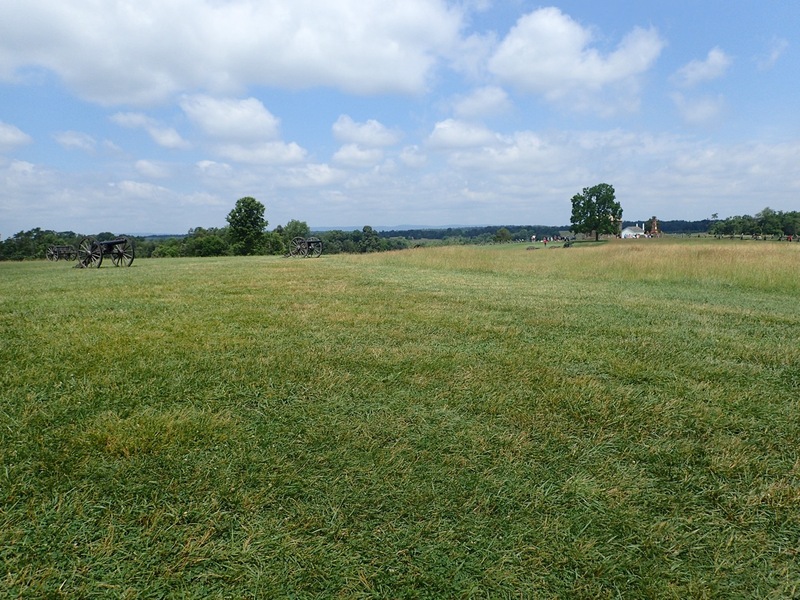 Even not being able to go inside the house this part of the trail has several things to see as there is a family cemetery where the only civilian casualty of the battle is buried and an 1865 monument. Most of the bad parts are past the Henry House as you loop over to the Southern line cannons. You could probably easily skip the worst parts of the loop, which included a steep hill down and right back up, and still get a feel for the whole trail if you went to the Henry House, back to the Visitor Center, and then over to the Jackson statue and Southern line instead of following the whole loop trail. 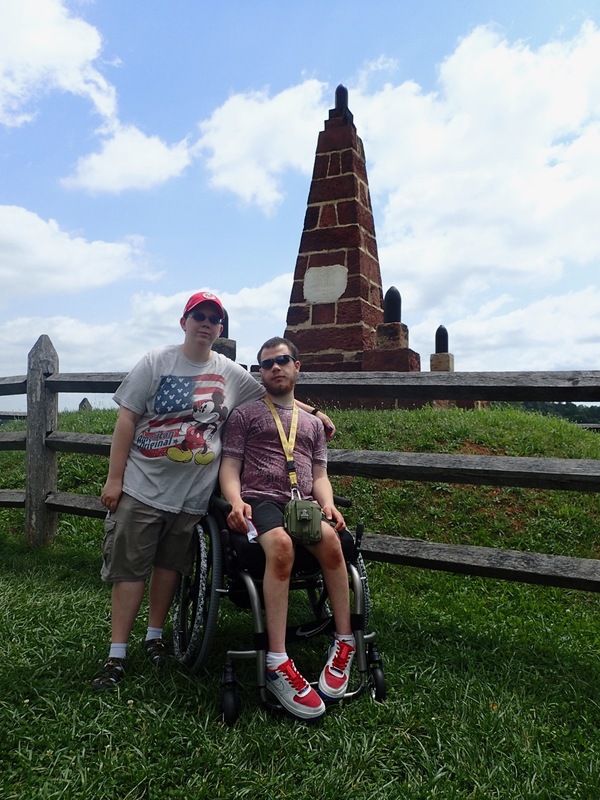 Following the loop we went past some of the Southern line marked with cannons and over to the Jackson statue that commemorates where he got the Stonewall nickname.